Actually, our testing indicates that you can see 50% or better improvements in your marketing with this one trick but even if it’s JUST 10% you are still going to make more money if you do this. Gather and then USE testimonials in all of your marketing. This is NOT just for your website. Use these in your Yellow Pages, direct mail, current customer marketing, radio and everything else. That was the easy part… Heck you probably already knew testimonials would help. Obviously Amazon and every other major retailer knows this. The hard part is actually gathering up those testimonials and making use of them. So, being the good little geeks that we are, we built a system for you to easily gather testimonials. The majority of our clients have our Google+ Local service for $100/month (it’s also included with our Supercharged and Nitrous packages) and there is no extra charge for this tool to gather testimonials. The rest of this email is just to show you how to use it. We REALLY want you to start gathering testimonials because, quite frankly, it makes us look like geniuses. Since we know it helps increase your leads, and that’s what you pay us for, then we also know this is just one more reason you’ll keep us on your team for a LONG time. On your web page. Underneath any page where testimonials are displayed (which is most pages) you’ll see a button to Submit a Testimonial. This will work and is useful, however it isn’t necessarily the best way. On your Google+ Page. 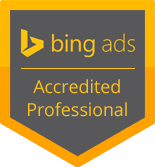 This is better because then the testimonial shows up in Google, improves your SEO, and we can still copy it over to your website and landing pages. They can visit your webpage and click on the icon. Once they are on that page, they can click on the Posts tab and then on the blue Write a Review button. If you are planning to mail or handout something to your customers to ask for testimonials, which we highly recommend, let us know and we’ll make sure you have all the important wording and images on your hand-out or postcard. If you see a Negative review, we’ll help you craft a professional response. We don’t have any way for Google to automatically notify us when a review is posted so keep an eye on your G+ page (we’ll check it out at least once a month for you) and let us know if any new reviews pop-up so we can transfer them to your website. Simply email us indicating you want to get started and we’ll send you the link to your Google+ page and a screenshot of the Write a Review button so you know exactly how to explain it to your customers.